Disability in Nigeria – Royal Times of Nigeria. On the sixth of March, 2018, a group of physically challenged Nigerians stormed the National Assembly in Abuja to protest employment discrimination and urge President Buhari to sign the disability bill. The proposed bill would prohibit discrimination and harmful treatment against the physically challenged with fines and imprisonment as punishment. 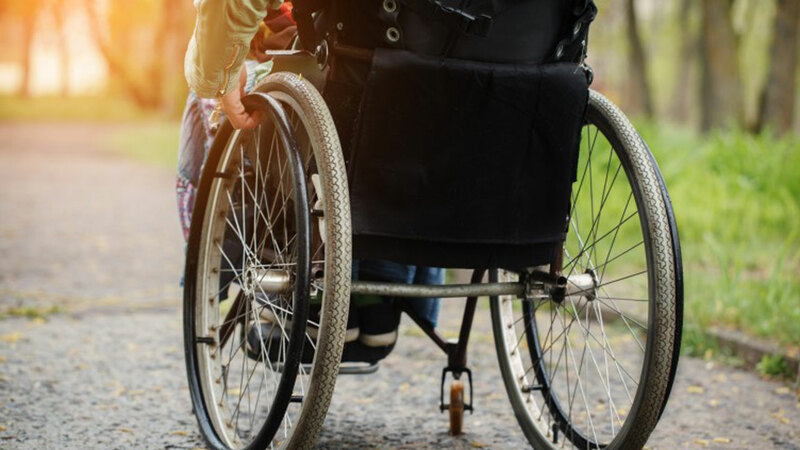 Crucially, the bill also prohibits the despicable act of using a disabled person for alms begging and requires that public buildings, roads and walkways be constructed to allow access for individuals with disabilities. The protest was, in actual fact, a tragic turn of events. It was tragic because all Nigerians, disabled or otherwise, should not have to ask for their rights. To make matters worse, this is not the first time disabled Nigerians have had to agitate for their rights. In November 2017, disabled protesters from Delta State gathered outside the NNPC headquarters to demand equal employment opportunities in regional oil companies. In 2016, the Senate passed the Disability Bill. However, two years later, it has still not been ratified. Considering that over twenty-five million Nigerians currently live with disabilities, this institutional inertia is not good enough. Disability in Nigeria should not automatically equate to a lower standard of living or status. The government must provide disabled Nigerians with the tools needed to avail them the same opportunities afforded to able-bodied Nigerians. A disability is not a crime, thus, the disabled must no longer be punished for it. A subset within the disabled who find their lives and needs the most neglected are the mentally disabled, thanks to the Nigerian cultural stigma regarding mental illness. The highly problematic word “mad” or “crazy” is simultaneously used as an umbrella term and an insult for and towards all who find themselves in need of mental help of any kind. The mentally challenged in Nigeria often find themselves ostracised and treated as dangerous, as opposed to being provided with the aid and care that they so badly need to confront their living environments. This treatment of mental health is both problematic and ridiculous, as an estimated one in four people in the world will confront mental health challenges at some point in their lives. Therefore, the issue has both cultural and institutional implications. We as a people must change the way we look at disability and mental health in order to create a non-hostile environment for those who live under these conditions. By the same token, the Nigerian government must institutionalise measures for making the lives of the disabled better and easier. Both public and private buildings and workplaces must be required to have accessibility features installed to accommodate the disabled. Simple construction features such as ramps at the entrances and exits of buildings, disabled toilets, and disabled-only parking spaces go a long way in making them feel included and accepted by the wider society. We must all play our individual parts if we are to promote the ease of living with disability in Nigeria. May God Bless our beloved Country, Nigeria.